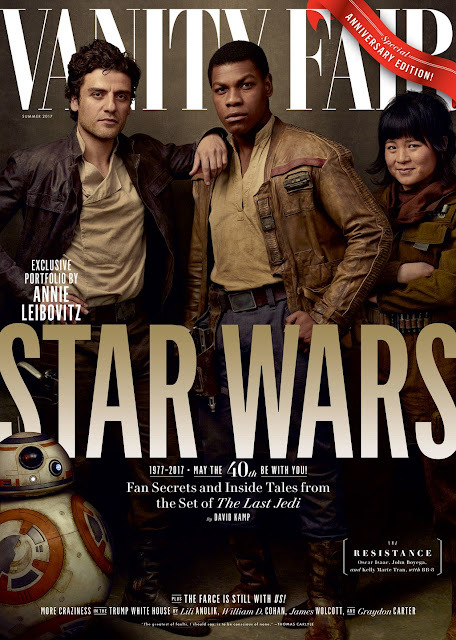 Vanity Fair have released four covers featuring some of the cast to Star Wars: The Last Jedi which hits cinema screens in December. 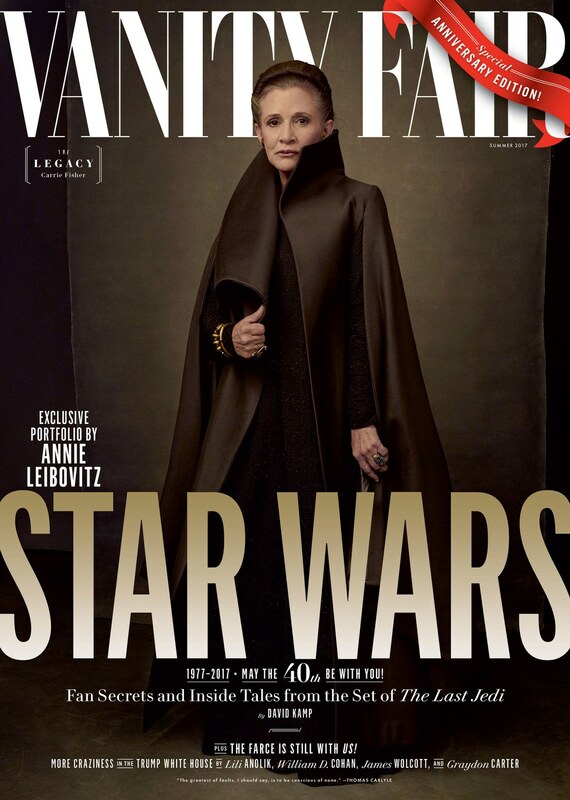 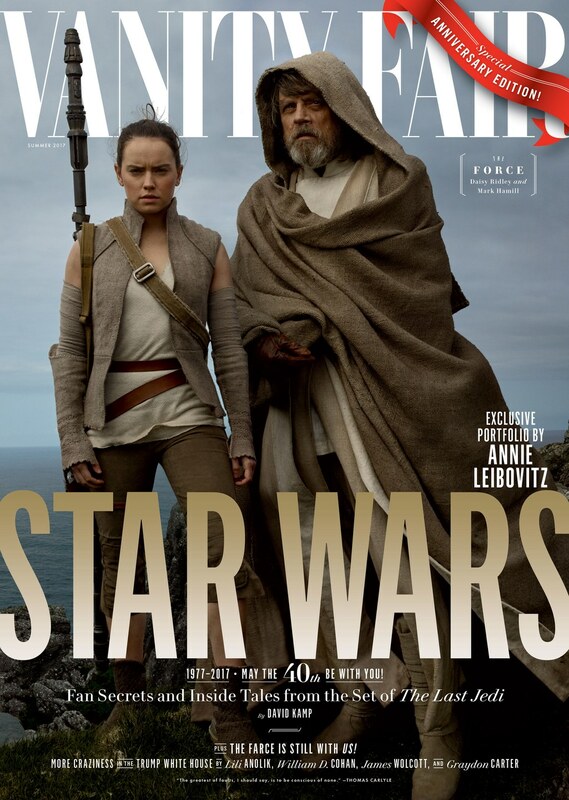 The photos were part of a new shoot from the set of Episode VIII, The Last Jedi, by Annie Leibovitz and just in time for the 40th anniversary of Star Wars. 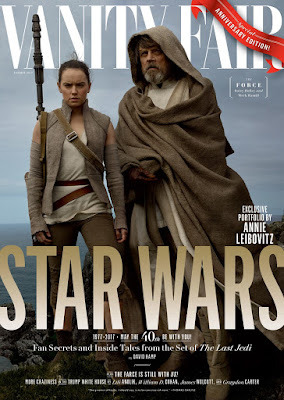 Leibovitz’s full portfolio will be online Wednesday, along with their story on the making of the new film, written by David Kamp. 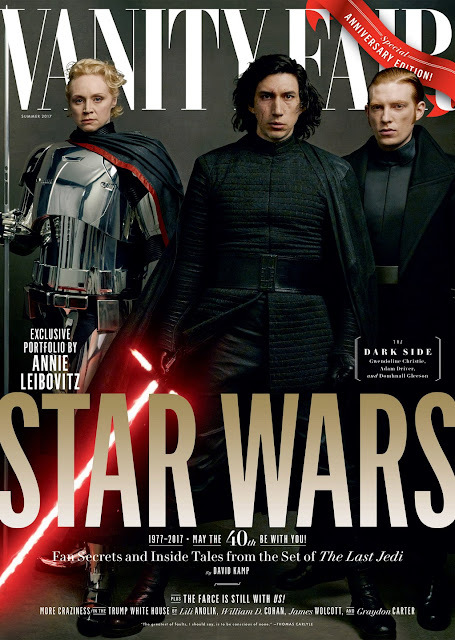 The Summer issue of Vanity Fair will be on newsstands in New York and Los Angeles on May 31, and nationally on June 6.